TideReach writes your tide-gauge data (obtained from a serial port or Ethernet port) to a database. It also has the ability to create and update web graphs and LAN connected monitors in real-time. More.. Displays database content as graphs on your website. dbWebDisplay periodically retrieves the data from your database and uploads it to the web in graphical or text form. The graphs and text are highly configurable to suit your website style with easy specification of colours, line types, and major and minor ticks, and duration etc. 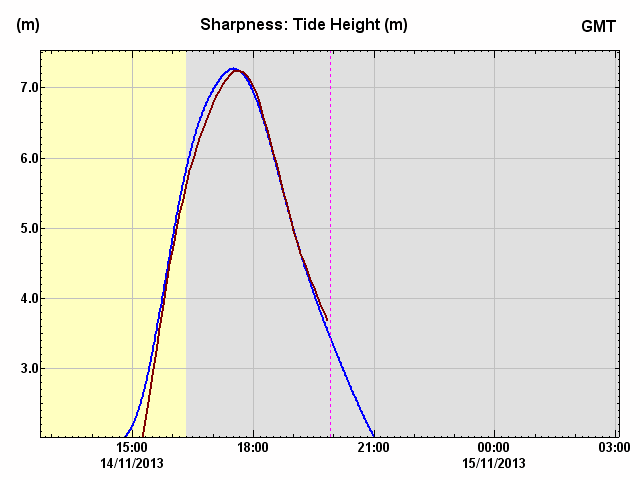 Can be used to create web graphs without affecting or changing your existing tidal data logging system. More..